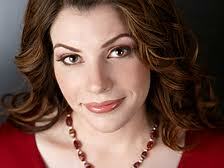 On July 2, 2003 vampires crept into Stephenie Meyer’s dreams and changed her life forever. At age 29 she was a stay at home mom with three boys and a husband. Then, five years later, at 34 she was a New York Times best-selling author. Meyer was born on Dec. 24, 1973 in Hartford, Conn. The unusual spelling of her name came from her father Stephen Morgan. Four years after her family moved to Phoenix. She had five siblings and took on the duties of an older sibling, by caring for her younger siblings. She had a passion for reading, and didn’t realize when she was young that her reading level was way above others her age. Meyer graduated from Chaparral High School in Scottsdale in 1992 and was an excellent student. She earned a National Merit Scholarship for her high marks. She used the scholarship to attend Brigham Young University, where she majored in English. In 1996 Meyer became reacquainted with a childhood friend and her future husband, Christiaan “Pancho” Meyer. A year later at 21-years-old she and Pancho Meyer got married. She graduated college in 1997. She decided to be a stay at home mom for her three young boys, Gabe, Seth and Eli. Six years after her marriage on July 2, 2003 she had a dream she wanted to write down. It was about a high school age girl standing in a meadow with a sparkling boy. The girl ended up being the character of Bella and the boy, a vampire, became Edward. On The Opera Winfrey Show Meyer said, at first, she was just documenting the dream because it was something she was interested in, not because she thought it would be a best selling novel. Within three months Meyer had finished 500-pages, enough pages for a book. She sent her manuscript to various literary agencies. It wasn’t a deal right away. Meyer got nine rejection letters, five no answers and one saying they wanted to read more. The manuscript was found in a slush pile at Writer’s House and made its way into the hands of publishing company Little, Brown and Co. by Jodi Reamer, “Where everyone fell in love with the gripping star-crossed lovers,” Meyer’s website says. Reamer and Meyer worked together to polish the manuscript and secured a 3 book deal with a $750,000 advance for Meyer. This was the highest amount Little, Brown and Co. paid a new writer. “Twilight was one of the most talked about novels within weeks of its release,” Meyer’s website says. It was #5 on the New York Times best-seller list when it debuted. It had great reviews from other companies as well such as, Amazon.com and Publishers Weekly. 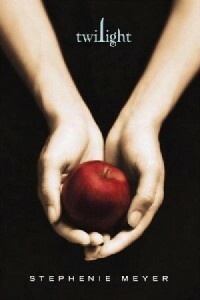 New Moon was the next book in the series, which was released in 2006. It was #1 on The New York Times best-sellers list for more then 25 weeks. Then Eclipse came out in 2007 and was known around the world. The Twilight Sega became a worldwide phenomenon. In 2008 the last book of the series Breaking Dawn was released in stores at 12:01 a.m..
Meyer also wrote an adult book that was released earlier in 2008 called The Host which was also on the best-sellers list. The Host features an alien romance. “The Host… [remained] a staple on the best-seller lists more than a year later,” the Meyer official website says.